Casino mogul's comments meet with derision, mockery online. "Nobody likes being around poor people, especially poor people." That, in a nutshell, is how casino mogul Steve Wynn, the man behind the upscale Wynn Las Vegas and Wynn Macau resorts, began a speech to investors on Wednesday. 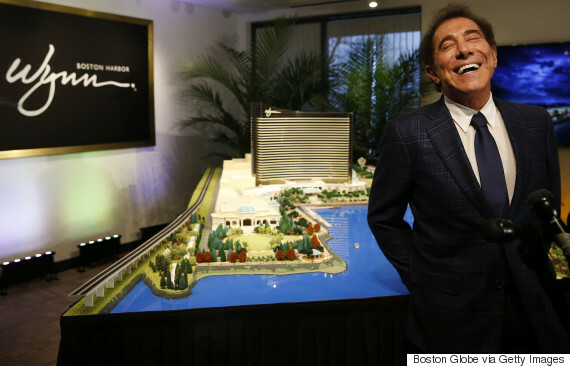 Wynn was outlining his plans for the Wynn Boston Harbor, a $2-billion resort planned for Everett, Mass. "This company caters to the top-end of the gaming world. We're sort of a Chanel, Louis Vuitton to use the comparison, the metaphor of the retail business. But unlike Chanel and Louis Vuitton, we are able in our business to cater to all of the market by making our standard so high that everybody wants to [be] in the building. "Or, to put it in a more colloquial way, rich people only like being around rich people. Nobody likes being around poor people especially poor people. "So we try and make the place feel upscale for everyone, that is to say, we cater [to] the people who have discretion and judgment and give them a choice and we are consistent in that. Whether the economy is up or the economy is down, we don't do layoffs, we pay attention to our capital structure, so that we don't bounce around our employee base and we don't bounce around our service levels." @CGasparino@nypost For ye have the poor always with you; but me ye have not always. Matthew 26:11. 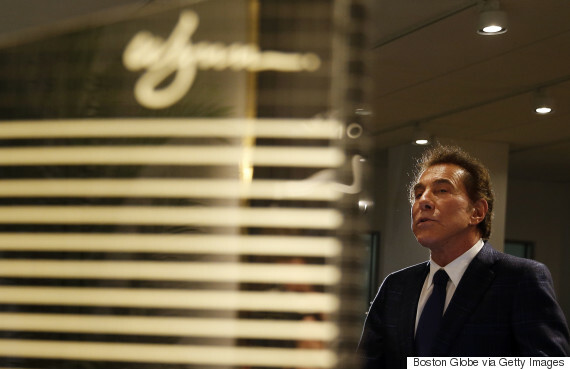 Is Steve Wynn God? Wynn Resorts Ltd. claims that the new casino in Everett will employ 4,000 people, The Boston Globe reported. It would also be situated in a city where the median household income has been pegged at $51,000 — $17,000 lower than the statewide median, according to Boston.com. Wynn's comment about poor people was "made in the context of a discussion that the company creates luxurious resorts which have an aspirational appeal to a broad range of guests," Wynn Resorts spokesman Michael Weaver said in a statement. Everett Mayor Carlo DeMaria, Jr. defended Wynn, saying the casino giant hopes to build a facility that would bring in people of all social classes. "What he's saying is, it's all about the experience," he said. "We want to be somewhere that's as nice as it can be. At his facilities, you can get a hamburger for $10 and a steak for $200." This isn't the first time that Wynn has made blunt comments on a conference call. In a call last year, he blasted table caps in Macau casinos as the "single most counterintuitive and irrational decision that was ever made," according to Bloomberg. "...Understand that the reason that these extraordinary non-gaming attractions exist is because the damn casino is the cash register."